Sellers face unique challenges around sales-tax obligations when selling on eBay, and the new Good Til Cancelled (GTC) mandate could add to their difficulties, even as states get more aggressive about forcing online sellers to collect, report, and remit sales tax for purchases made to their residents. A reader who sells on eBay explained his less than ideal experience trying to comply with state laws after moving from one state, Illinois, to another - Georgia. "I just moved to outside of Atlanta, GA from Chicago area and made sure to delete collecting sales tax from Illinois (IL) and adding Georgia (GA). I sold an item over the weekend to a customer in IL, and he was charged sales tax by me even though I had changed my settings." When he contacted eBay customer support, the company representative told him eBay would not collect taxes correctly until his listings renewed. "eBay will continue to collect sales tax for me in IL and not in GA until the listing gets cycled through and relisted in my GTC listings," the seller told us. "So now my customers in IL will get cheated, and I will need to refund taxes that weren't supposed to get collected, and my GA sales will not get sales tax charged, and I will need to pay for that too." 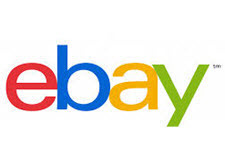 The problem becomes greater as eBay rolls out the GTC mandate this week making all listings Good Til Cancelled except for auction format listings. Any time a seller moves from one state to another, they'll have to factor in the possible sales-tax implications of their GTC listings until they renew - which could take up to 30 days. "I checked my settings under site preferences and sales tax table again," the seller said, "and at the bottom it says, "These changes will apply to your new, relisted and revised listings only." This is a big problem and they say there is nothing they can do!!" eBay has also been sloppy about state sales tax in other ways. It admitted it does not yet have the ability to honor certificates from tax-exempt shoppers, for example, and sellers have reported eBay has incorrectly collected sales tax for items that are tax exempt. Will state departments of revenue enforcers look with understanding on sellers who struggle to comply despite the challenges they face from marketplace shortcomings? Sellers such as the one cited above are taking no chances, meaning they'll take a financial hit. Honestly, it would be shocking if ebay actually did something RIGHT. What a complete mess of a company. "... the company representative told him eBay would not collect taxes correctly until his listings renewed." eBay's IT department has got to be the most embarrassing collection of incompetent jobsworths ever assembled in one place. Key Words are ''new, relisted and revised listings''. If you revise the listing, it will apply the updated tax rate table settings. If you have a lot of listings, you can actually do it in bulk in seller hub. Go to Listings and you can select 500 items at a time to edit. Once they open in the bulk edit window, just click ''submit changes''. You don't actually have to change anything. Once you hit ''submit'', it believes those listings have been ''revised'' and the new tax rate table settings should be applied. nitpicking. Anytime you relocate you should check out all ramifications personal, business, or otherwise previously. I used to love reselling on Ebay, but it has taken the "fun" out of reselling. Pay no insertion fees on 100 listings, including Good ‘Til Cancelled. Which indicates to me that there is NO LISTING FEE IF THE ITEM IS GOOD TILL CANCELLED, CORRECT? WHY IS EVERYBODY stating there is a fee? I think all of us who are sellers should buy ONE share of Ebay so we can have a place at the table. I know I will. I wish I could afford AMZ stock. Actually you will have to file with Illinois this year any way so what is the problem for the next month you add the sales from IL. I actually do shows in several states so for the past 10 years have to collect in each one of those so I have my ebay account set to collect in those as well and we pay the tax. As to the snotty "When you move all things must be considered"--- it seems the seller DID consider--- however EBAY DID NOT. Absurd. And it would be nice if JUST ONCE Ebay even made the pretense of making life easier.for sellers!!! And buyers. Has ebay also considered.that some places have both a STATE and a LOCAL TAX???? I had to teach two adults this just last week as they got angry because allegedly a restaurant had mis charged, over the perceived State tax. In NY we have a base of 4%, but my local is 3%, many other areas have different amounts. This should be--- fun. And on a cell you cannot SEE what ebay is charging!!! Lately, I got brave enough to buy a few things on eBay. I tried buying two items from the same seller and as I READ her details I knew 1. she only takes PP - fine with me and 2. If I want combined shipping I have to ask for it before paying. No problem....I thought. I went to check out to find only one item in my cart and also a note to click to get a combined invoice. eBay said there was an error. After messing around for way too long. I sent the seller a note that yes I did want the two items and I wanted combined shipping, would/could she send me a combined invoice. She does, I pay, she ships promptly, and the day my order arrives I get a nastygram from eBay saying it looks like I was trying to take a sale off of eBay! Like as a buyer I care, but the point was, I wasn't trying to do that. I was just doing what I had to because eBay fell down on the job and wouldn't allow the link to go through! They are being fussy about a purchase that was made completely through eBay. If I wasn't a seller on other venues and knew from experience some of the stupid things eBay does, I would have been upset. Of course, you couldn't respond to the email to tell them what had actually happened! So not only is eBay ticking off its sellers on a daily basis, but they are also ticking off their buyers! They should just close the place down but I suppose the CEO and BOD haven't accumulated enough wealth to support their family into the 3rd-5th generation without them having to lift one finger to work! Kind of like the old railway and steel robber barons of the past!